If you have not been keeping up with Marvel’s most recent comic event, then you have a bit to catch up on. The publisher recently embarked on its full-on revisit to Secret Empire. The story has kept fans on-edge as the controversial series retconned Captain America in a dangerous way. Rather than being a warrior for justice, Steve Rogers had his past manipulated by the Red Skull. The tampering turned Captain America into a sleeper Hydra agent who turned on his comrades by uttering the feared phrase, “Hail Hydra.” However, it looks like Marvel is trying to keep fans from abusing the phrase, and the comics company is going to court to make it happen. Earlier this month, it looks like Marvel filed a trademark registration for the term “Hail Hydra.” The application wants to trademark the phrase for “downloadable electronic publications in the nature of comic books, comic magazines and stories in illustrated form, comic books; printed periodicals in the field of comic book stories and artwork, entertainment services, namely, providing online non-downloadable comic books and graphic novels.” Reading through the long list, there is little doubt the application would extend over website domains as well - and that would be bad news for one man. Recently, news broke that a website URL using the phrase ‘Hail Hydra’ was causing trouble for the White House. If you type in the URL hail-hydra.com on your favorite web browser, you will discover the root of the controversy. Rather than sending you to a Red Skull recruitment site, the URl simply redirects netizens to the official website for the White House. In fact, it takes people to the page which describes Trump’s administration. There isn’t much information floating around about the domain’s owner, but it looks like Marvel isn’t pleased with the tech-savvy user’s recent plans. For now, only time will tell whether the offending site will be taken down or if its redirect will be - well - redirected. When ComicBook asked Marvel whether they knew who owned the domain, they admitted they did not have that information. But, if the company’s trademark is accepted, the company will have to proof they will use it in a meaningful way in the future. 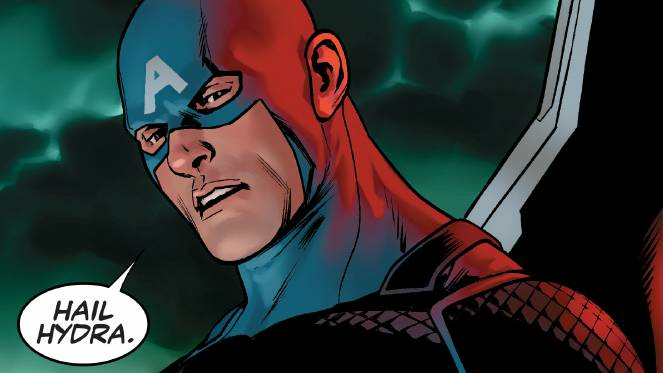 So, sadly, Captain America’s Secret Empire backlash might be far from over. As for Secret Empire, you can find more information about the event below.